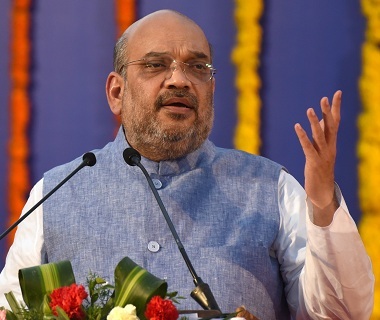 The Congress on Tuesday alleged that BJP national president Amit Shah had visited Goa primarily to visit the Chief Minister Manohar Parrikar and secure the Rafale files which were allegedly in his bedroom, so that he wouldn't have a way to blackmail the party high command any longer. Addressing a press conference at the party headquarters in Panjim, spokesperson and former legislator Jitendra Deshprabhu said that there was much more than meets the eye as far as Parrikar's involvement in the Rafale deal goes. He also went on to say that Parrikar, the "chowkidar" of Goa who was Defence Minister of India when the deal was made, was partners in crime with India's "chowkidar." "Congress president Rahul Gandhi has already said "Chowkidar chor hai." But after Parrikar has been exposed by 'The Hindu', we say, "Goa ka chowkidar bhi chor hai"," said Deshprabhu, adding, "Inspite of the fact that the then Defense Minister knew all about the corruption in the deal, he sided with the corrupt approach taken by the chowkidar of this country." Deshprabhu also said that the party was contemplating filing a complaint in regard to the allegations. Recapping all the details of the Rafale deal, he said that the Prime Minister had allowed Ambani to steal Rs 30,000 crores from the country. He also questioned if Parrikar had made an attempt to stop corruption by saying, "Did he put a separate note saying that the deal should be investigated or that it should not be permitted?"